Aklash has existed for over a decade and in that time has been through a series of manifestations. In the beginning the project was conceived by the ensembles chief composer and lyricist; Daniel Scrivener and Nicholas Millar respectively, when they both began to experiment heavily with hypnotic and atmospheric black metal aesthetics and mind altering techniques. Alongside James Scrivener the trio recorded the debut self titled album and later a video to accompany “Solstice” from that release. The group went on to perform avidly, slowly building a strong and committed following across the UK. They refined their live performance and carried it to coveted stages including the Blackwood Gathering, Warhorns and Bloodstock as well as a myriad of other venues across the country. Playing alongside some of the most notable black metal acts the UK has to offer including; A Forest of Stars, SAOR, Primitive Graven Image and Old Corpse Road and Fen, Aklash have forged a name for themselves as a reputable and engaging live act. The ensemble has seen many manifestations as musicians came and went. Currently the group consists of Tony Lake on Drums and Chris Kendell playing bass both of whom have been fundamental in the maturation of the live performance. During this time the group have been refining and developing their melodic and atmospheric style, ever present themes of nature and spirituality slowly evolving to the anthropomorphism of the universe and questions on morality. These concepts are invoked in the long awaited album; “Where the Ocean Meets the Sky”. Several years in the making the album, painstakingly crafted, it covers a broad landscape of esoteric and elevated themes and divorces the band from the more primitive sound captured on the earlier recordings. Aklash now wait upon the precipice. 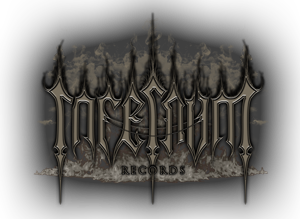 With the support of Infernum records they are ready to carry the new material to an ever growing congregation and help spread the word of higher truth. “All things are as one, all are one the same.